Both elements must appear together. 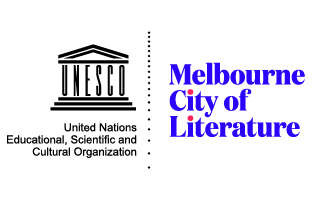 There are conditions to be followed when using the UNESCO Melbourne City of Literature logo device which must apply unless approved by Creative Victoria's Communications Manager. 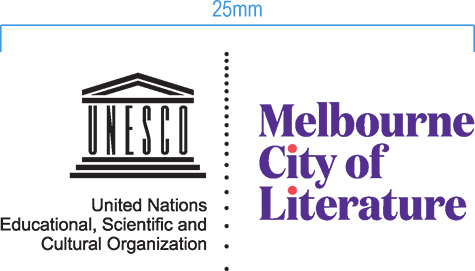 The logo device should not be reproduced any smaller than 25mm (w) x 11.5mm (h). Please note the image above is not actual size and is for reference only. 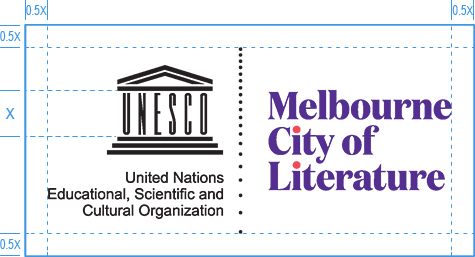 There must be clear space above, below and to each side of the logo device equal to the half the height of 'UNESCO' in the logo. No alterations or distortions can be made to the logo device. 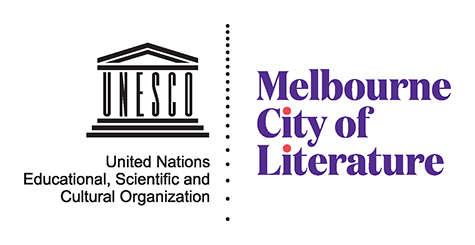 The logo device is not to be redrawn or hand-duplicated.